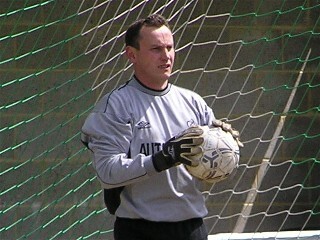 Left, Trevor Roffey holds onto a shot during the warm-up. 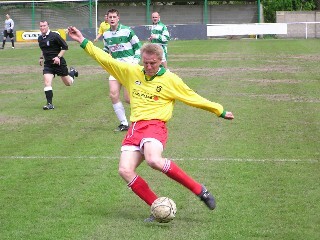 Right, Mike Cornwell storms forward with the ball. 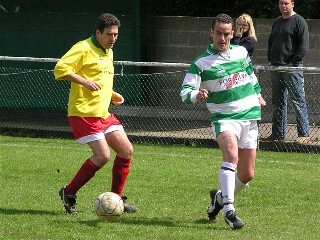 Left, Nigel Golley plays a forward pass, having just stopped a Whyteleafe counter-attack. 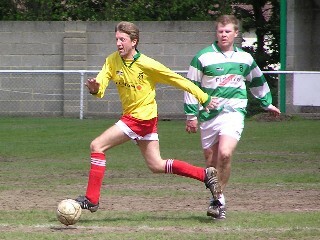 Right, Tony Rains hassles for the ball at left-back. 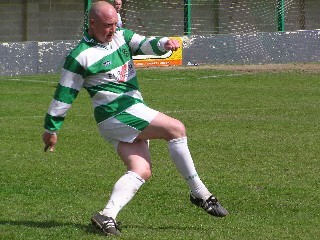 Left, Paul Rogers hammers a shot at goal during the first half. 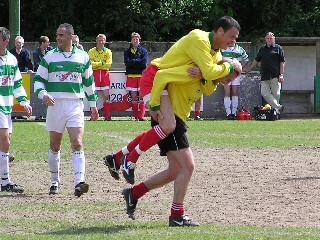 Right, Steve Watson celebrates Jimmy Dack's goal by hitching a ride from the goalscorer. 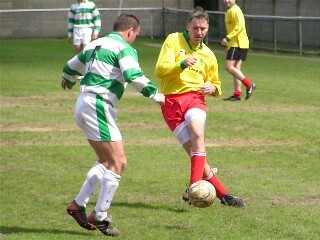 Left, Stuart Massey clears the ball from the Whyteleafe half. 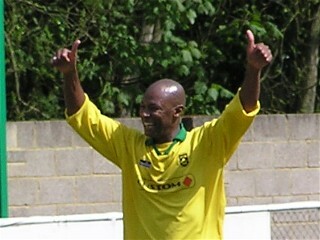 Right, A double thumbs up from Lennie Dennis after bagging United's fourth.